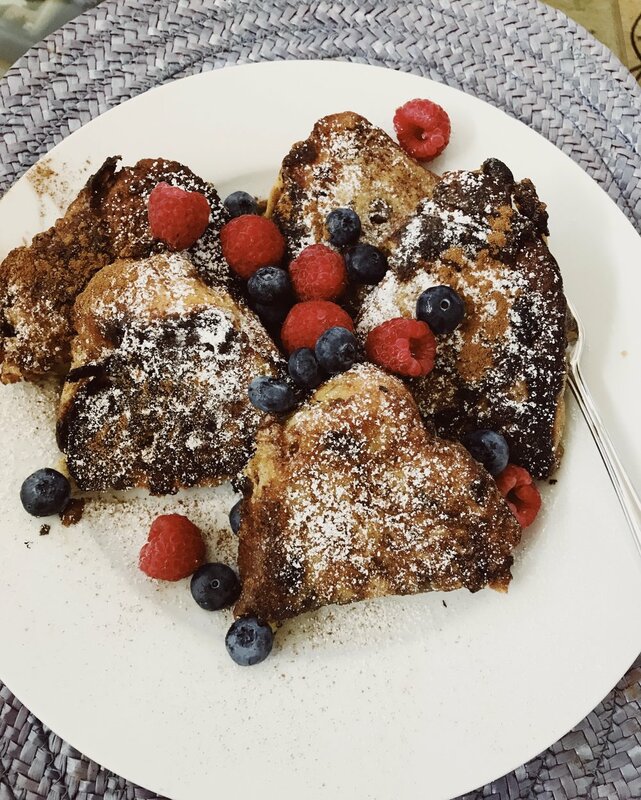 Raisin bread french toast with berries! One fine morning with some raisin egg bread in hand S decided to channel her inner Julia Child and Voila "THE BEST BREAKFAST EVER" as my husband proclaimed. Just so you all know I cook all the time and pretty well so this was like OK, really? WOW in over 14 years I finally did it. LOL but hey I am so stoked and it truly was delicious and pretty simple. Always when something like this happens I reflect at how often the simplest things are the sweetest. This one literally.